With just days away from the FanDaze Inaugural Party, it’s time for fans to start planning for the biggest fan event of the year. We have been given some information on the party but still feeling in a daze as there are still lots of questions and surprises to come. Last week we finally got some sort of structure to this one-off event. Packages are still on sale and stand-alone tickets are available at an Early-Bird price. The evening shall include talks from Animators (free to attend) and Imagineers (depending on your package and extra ticket) two parades and not forgetting a brand new show called Max-live. The highlights of the evening will be the exclusive character meets. The 12th of April character parade was rather special and I think FanDaze will be even more sensational. 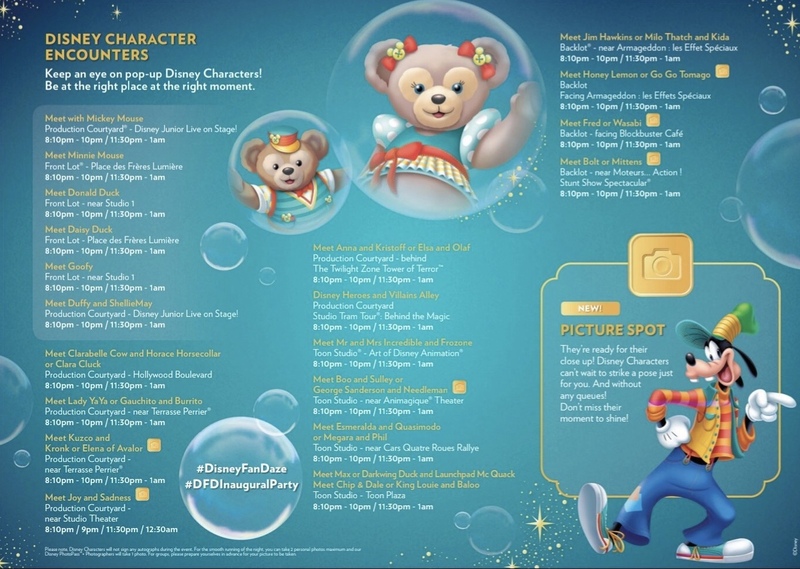 The official FanDaze character guide released last week shows us that there are lots of rare characters to meet but, there are a few things to take note of. 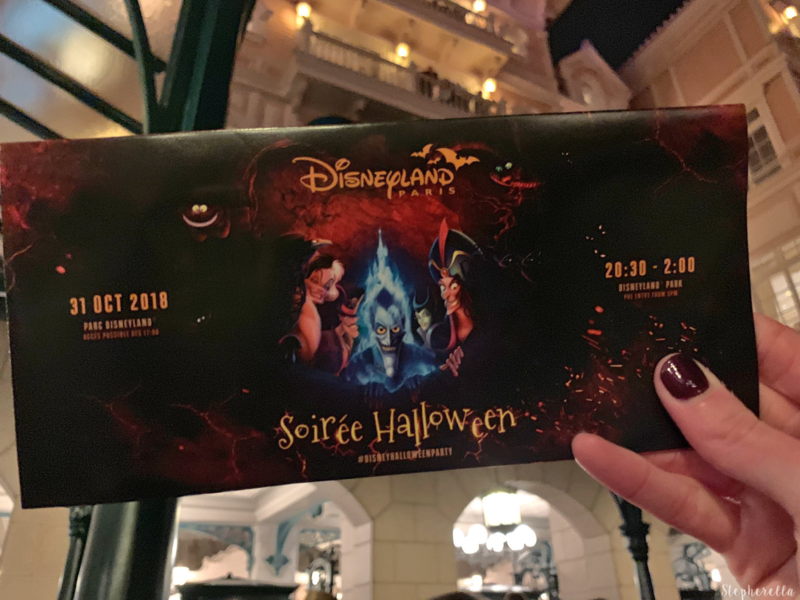 The opening ceremony will commence at 8 pm in the Walt Disney Studios Park and will finish at 2 am with a farewell parade. 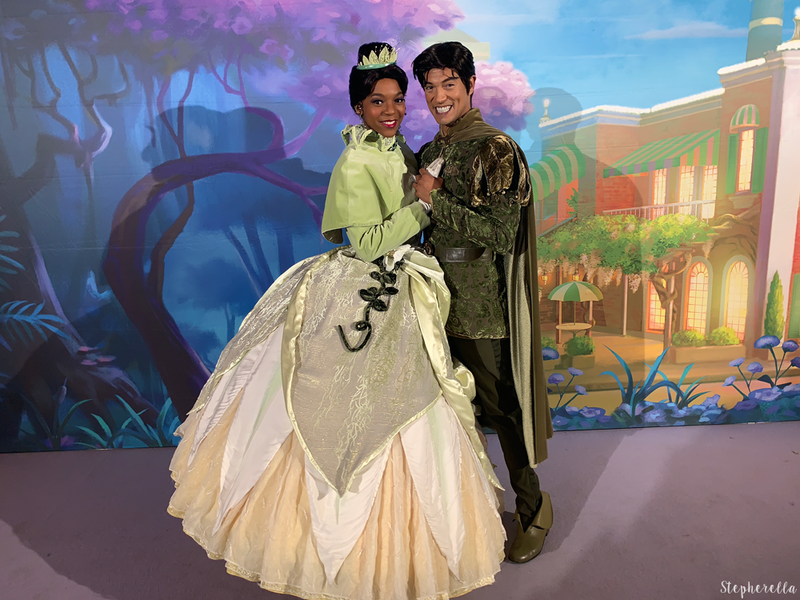 The programme also tells us that there will be multiple showings of each piece of entertainment, which is a great opportunity to see them multiple times or if you’re queuing for characters or attending a conference. You won’t miss a thing! There are two conferences on the night including, A Duffy and Friends Panel and Insights with Walt Disney Imagineers but, you must purchase an extra ticket to attend these (£109). This is the event to get your photos with the rarest characters ever. Some even have their first ever debut in a Disney Park. Sounds very exciting indeed, however, on the guide, it is noticeable that there will be swaps for each set as it says meet Kuzco and Kronk or, Elena of Avalor for example. This is a little disappointing if you’re queuing for one pair and then they get swapped out but, also understandable. Thankfully the times are considerate. One thing to note that there are little camera icons next to various meets which means (if understood correctly) you can get a photo of them in their group instead of queuing for a photo with them. The most intriguing part of the night for me is the Heroes and Villains Alley. Here could be endless possibilities for rare character meets with Hades being the main focus. I really hope the Hyenas from The Lion King make an appearance as that would make my evening. Who would you like to see roaming around? Could Pain and Panic also be making an appearance? We have seen them previously at the Halloween Soirée of 2016, it would be awesome to see them again! 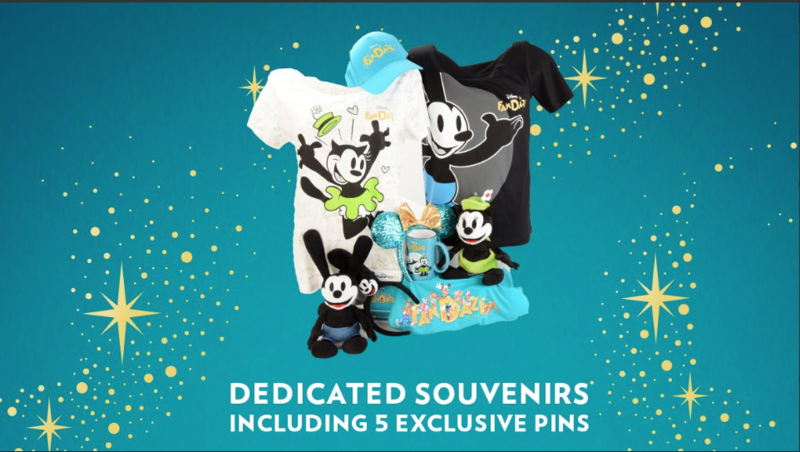 We also got a glimpse of the exclusive merchandise available at FanDaze this week too. 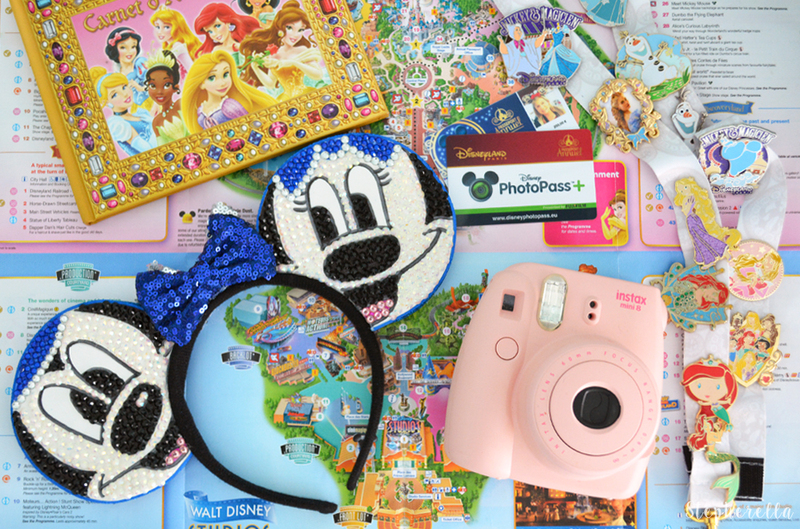 It all looks very promising and I know I’ll want those new ears! I just hope it won’t be like the Tower Of Terror night when the items went on sale the next day as I won’t be queuing for these all evening. I am still not sure what to expect from this event. We have been left wondering what will happen since the packages were released earlier this year. I am, however, going to stay open-minded about this once in a lifetime opportunity and I’m sure we will be left in awe! 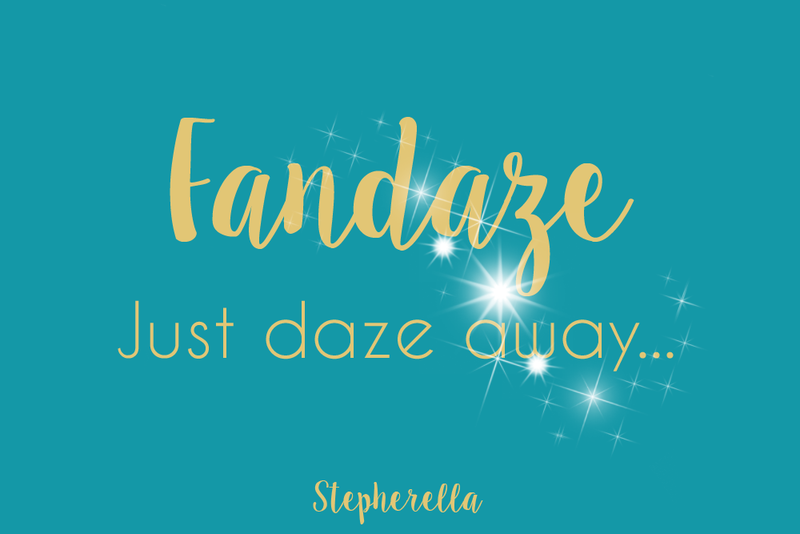 Are you going to FanDaze? What are you most looking forward to? 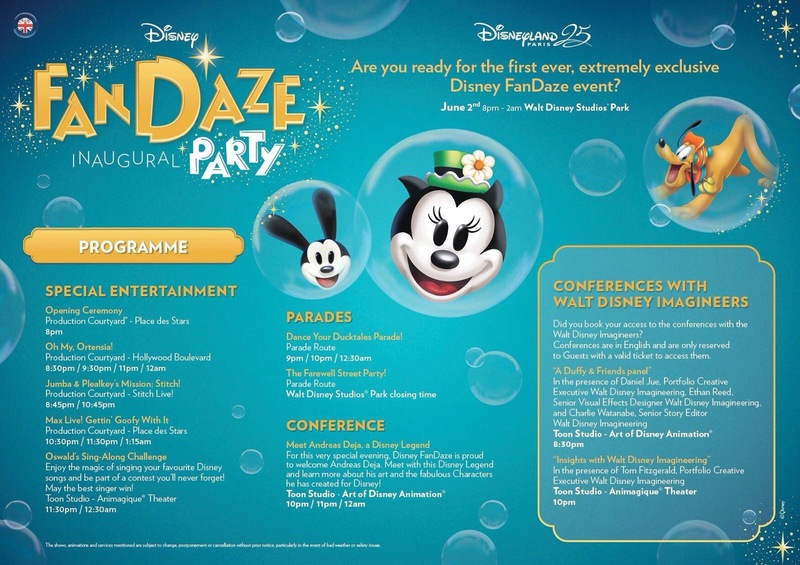 It has been said on Twitter day that if you’re attending FanDaze you’ll be able to pick up your registration packs in the Disney Village Dome on Friday 1st of June between 17:00 – 00:30 and on Saturday 2nd of June between 08:00 – 22:00. Each member of your party needs to be with you to pick up your documentation and wrist band. Also announced, a panel with Catherine Powell for Infinity Pass holders at the beginning of the night. This is a first come first served basis.